A supportive friend is one of the best remedies for dealing with a breakup. Relationship breakups are a common part of the human experience, but this doesn't diminish the fact that they can be emotionally taxing. A grieving process is often associated with breakups, says New York City-based counselor Nathan Feiles, and supportive friendships serve as a buffer against severe emotional responses to grief, such as depression. There is no definitive time that this grieving process lasts -- everyone has a different level of resilience -- but it's essential to encourage a friend to use healthy coping techniques to deal with a breakup. Friends need emotional support when they have just experienced a breakup. Professionals at Help Guide say that when a grieving person can talk about the loss, she begins to heal and is reminded that she's not alone. Giving advice is not always necessary; your friend may just need you to provide her with a listening ear. Support your friend no matter how long it takes her to grieve, healing takes as long as it takes. Your friend may need a bit of encouragement if she's not confident that she can find a new romantic partner. If your friend becomes discouraged about future romantic relationships, remind her that she's worthy of a healthy relationship and that she will find a new partner when the time is right. 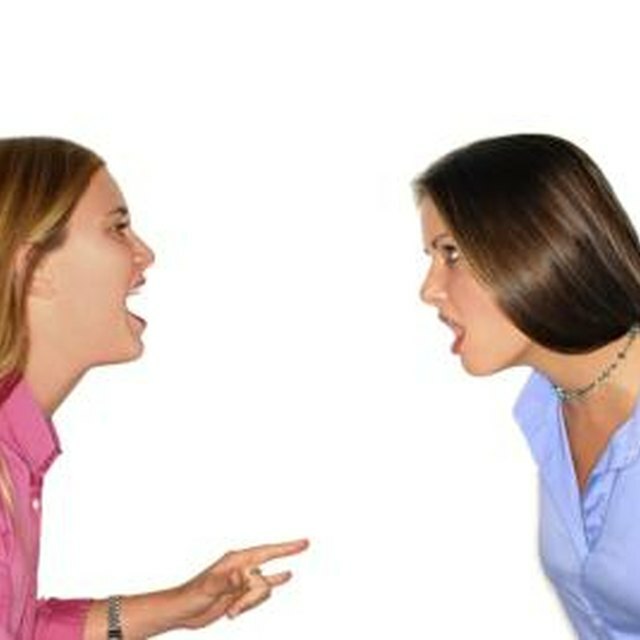 Encourage her to focus on processing any hurt or angry feelings, and to continuously view herself in a positive light. Also, encourage her to engage in hobbies and activities that distract her from over-thinking her future, bringing her happiness in the present. Take your friend out for a night on the town to help her grieve her loss. Feiles says, "Social interaction is one of the keys to moving forward after a breakup"; it can help ward off the tendency for grievers to isolate themselves and be consumed by their emotions. If your friend doesn't want to be surrounded by a lot of people, invite her out for a stroll in a quiet park or neighborhood. While those experiencing a breakup may want to focus on the negative aspects of the relationship, encourage your friend to focus on the positive things that she experienced. Mental health professionals at the non-profit organization Live Your Life Well, a subsidiary of Mental Health America, state that negative thinking has an adverse impact on a person's mood. This is not to say that your friend should deny any negative emotions; doing so can actually hurts her chances of moving forward. Once she's processed the negative emotions, encourage her to appreciate the good times she experienced in her previous relationship to keep her spirits up.